What settings you should change on your Google Pixel. Although Google Pixel comes with impressive specifications and a high-resolution camera, there are still many features customers can benefit from to take user experience to the next level. Below, we will discuss the Google Pixel’s main customized options which are far better than the default ones. With the Wi-Fi Assistant option, your smartphone automatically connects to the best-known networks. By doing this, your data will be safe although you are connected to a public Wi-Fi. Plus, this feature is backed by the VPN service for added security. As most people know, live wallpapers always take their toll on the battery life, but it is not the case with Google Pixel. This section consists of live wallpapers which slowly change during the day without draining your battery life. Also, Google Pixel’s live wallpapers change once every twenty-four hours. By simply long-pressing on your home screen, you will enable this option from where you can choose which wallpaper you prefer. This smartphone comes with a high-quality camera which can record 4K videos instead of the traditional 1080p. This feature can be selected from the ‘Settings’ section of the camera menu. Google Photos is another reason why you shouldn’t worry that 4K videos will take too much space. This app offers users unlimited storage for their videos and photos by creating a back-up. In addition to this, Google Photos is also free. Google Pixel is one of the few smartphones on the market which come with a fingerprint sensor to increase user security. However, this option is disabled by default, but you can simply switch it on from the Moves section. From the same section, users can also activate another feature which quickly opens the camera with a fast double-pressing on the power button. Furthermore, by quickly double-twisting the phone, you can switch between the main shooter and the selfie cam. It is worth mentioning that this shortcut is similar to the twist gesture in Motorola. 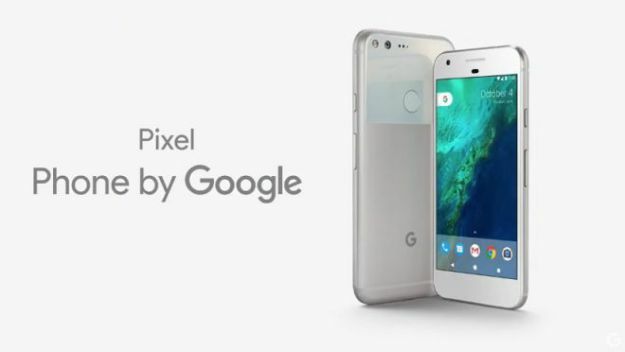 Besides so many high-quality features, the latest Google Pixel comes with excellent customizable options which promise to help users feel more comfortable using this device.